I have used Magers' Elite Cleaning for four years and that says a lot for the quality of their work!!! I am a perfectionist in just about everything, but especially when it comes to my home. I am a fanatical cleaner and Magers' has removed the stress of me cleaning my own home and does it according to my standards. They have always been accommodating when I needed something extra done or needed to cancel/reschedule my cleaning day. They have NEVER missed a day because of weather or illness and contact me to reschedule due to my cleaning day falling on a holiday. On the rare occasion when I have had a concern, they have graciously remedied the situation. All of their staff are friendly and polite. None of them are smokers which is a big plus because my home never smells of smoke from their clothing. I would recommend them for all of your cleaning needs. I use them to clean my windows and I am just as pleased with them in that area as I am with my housecleaning. 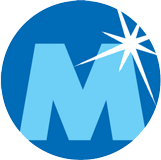 We have been using Magers’ Elite Cleaning for over 5 years and use all of their services. We use not only the inside cleaning of our office and shop, but we also use their services in our house; including windows, carpet cleaning and ‘shining’ wood floors. I appreciate their quality service, trust, and integrity. 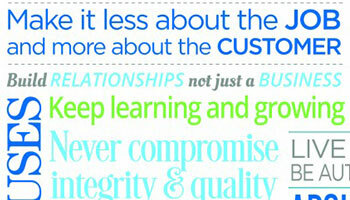 We trust the Magers’ family and their employees not only in our business, but in our home. I never have to worry about anything being out of place. They have the keys to my house and my business. I think that says a lot. The other thing is if I ask them to do an additional service, their answer has always been “YES.” All the employees have very positive attitudes; they want to know about you, your family and your business. Their connection to us definitely comes from the heart. They clean my space as if it were their own. Especially in my business, when customers come into my shop and see a clean “tire and automotive” facility, they believe they can trust us with their vehicle. We are very proud of the cleanliness of our shop and Magers’ Elite Cleaning deserves part of that credit. In our business, I believe that is a big hurdle, to have a clean place. My favorite part of having your team clean our home is the amazing smell that hits me the minute I walk into the house. The sofa pillows are fluffed, the table arranged attractively, the towels are folded in the bathroom...so many fine details that add to the delight of having dust-free furniture, clean floors and the kitchen sink just sparkles. One very important incident just proves how above and beyond your service reaches: we had a loose towel rack in the bathroom and one of your team members brought it to us saying she had knocked it down and offered to send Randy over to fix it! Bringing those things to our attention was much appreciated! We knew it was loose and she could have just moved on to the next house, but she didn't. Now THAT'S excellent service. Thanks so much! We have used Magers Elite Cleaning since the very beginning. Their attention to detail is outstanding. In this business schedules change very quickly and Magers Elite Cleaning is always very accommodating and flexible. They work with us and our ever-changing schedules. 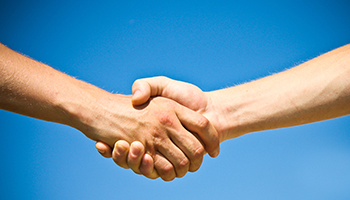 Their employees are courteous and very respectful of our customers' homes and businesses. In fact many of our customers have hired Magers Elite Cleaning to do their residential cleaning or commercial cleaning on a regular basis. That speaks volumes for their quality and how they treat people. I have known Randy and Diana most of my life…and they have been cleaning for me since they opened their business. As business people, they are trustworthy, dedicated, and hard-working; providing a high-quality service with a high-integrity team. 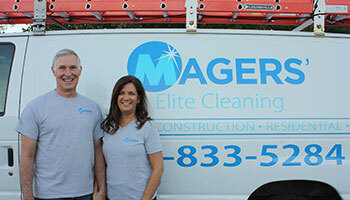 I say "team," because Magers' Elite Cleaning offers each unique employee an opportunity to work in a company with high values and because of this, they are able to offer their customers an experience like no other in the "cleaning service" industry. This level of commitment shines through in all they do. Beyond business, I am honored to call them friends. We are a local family-owned and operated business, serving the Ozarks since 2001. © Copyright 2018 Magers Elite Cleaning | Website Design by Two Tall Design, LLC.